Disclosure- I received a free pass to attend as media to Alive Expo. 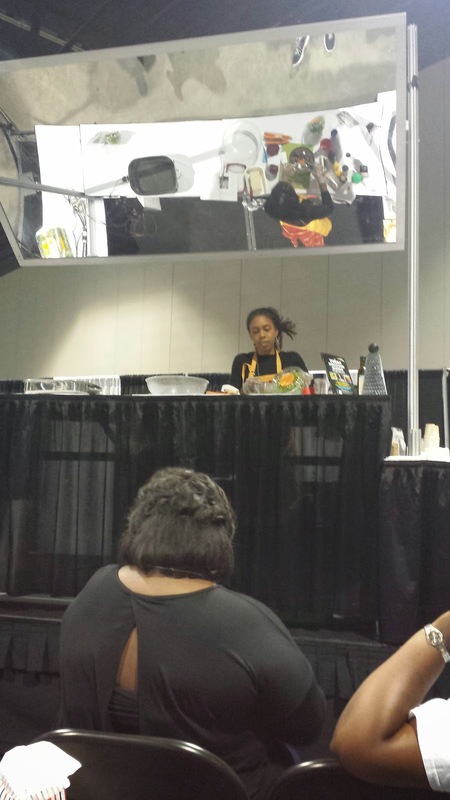 Everywhere I turned around there was live demos going on, organic foods to sample, and skincare to sample. I found myself pulling money out of my wallet several times buying different things. 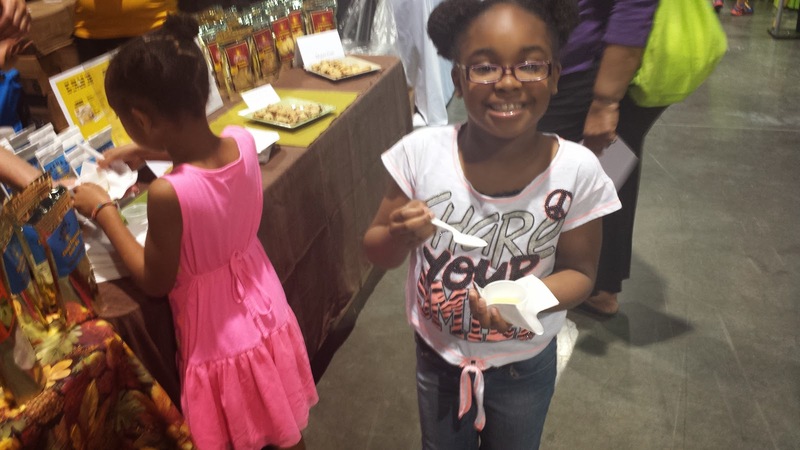 I'm happy that I had attended this Expo because it was a wake up call for me because I'm a terrible eater. I'm always looking for convince when it comes to foods that it's actually harming me in the long run. 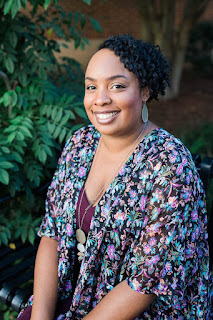 The reason why I'm always buying unnatural convince foods is because of my busy schedule- I have a full time job, I'm a full time blogger, and have a household to run. I try to buy organic and natural foods as much as possible but it's so expensive to buy- I really wish that it would be more affordable in grocery stores. I need to start visiting my local farmer's market and start buying my produce there and also buy fruits that are in season because it cost less. I also learned that not all organic foods are truly organic, it still has some form of pesticides in it and GMO. So again, best thing to do is to buy your produce from your local farmers market or just grow your own fruits and vegetables. I was talking to my daughters about growing our own produce and they're all for it, (looks like we'll be taking a visit to Home Depot soon). In the pictures below I watched Afya Ibomu make a yummy vegan salad that both of my daughters and I enjoyed eating. 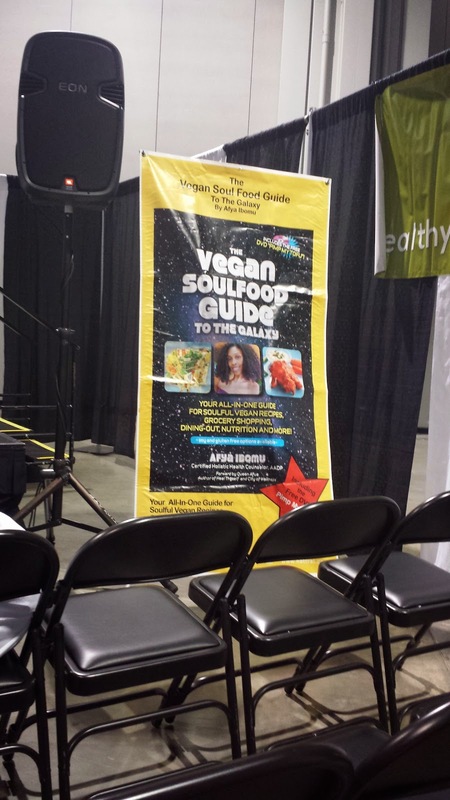 I'm so bummed that I didn't get a chance to buy her book that is a complete guide of vegan foods and recipes, it also comes with a DVD. Follow her on Instagram because she soon has a campaign coming to encourage people to drink more water. 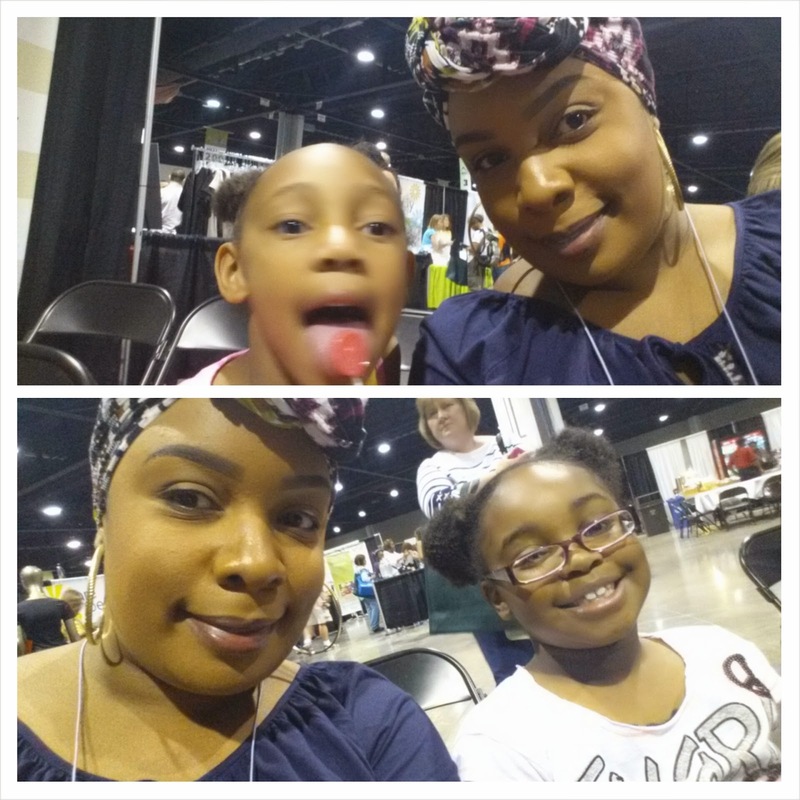 My daughters had me at the kids section of the Expo almost the whole time I was there. 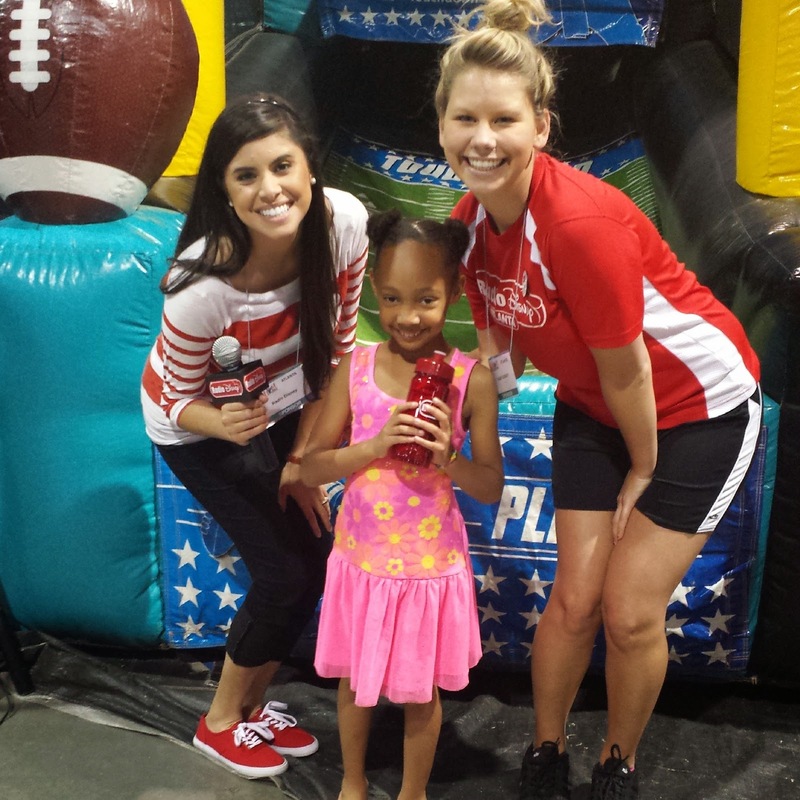 They played on a bounce house, shoot some hoops, and also rocked out with Radio Disney. What a great Expo! I also got $150 worth of products in my swag bag (score)! I'm happy that I was invited to attend and I look forward to attending again next year! Before I go, I want to give a shout out to some companies I had a pleasure of talking to. FranniesGlutenfree.com- They had the best gluten free muffins I've ever tasted! These muffins needs to be served in our children's schools instead of the unhealthy ones. Fruitgrass.com- They had great tasty energy drinks that is a natural energy, enhanced immunity, anti-aging, detoxifying, healthy weight loss, healthy skin, hair and nails, better digestion, and it helps improves circulation. MeTime- MeTime had some great tasting lemonades. If you're in the Atlanta area they can have some fresh lemonades delivered to you and they also do parties. Ombotanical.com- Ombotanical has a line of vegan and gluten free skincare products. I purchased their facial wash and have already used it and quickly seen improvement with my face. My face is much more smoother and clearer. LovelyLadyProducts.com- Lovely Lady Products has a organic skincare line that is USDA organic. I purchased their face moisturizer and it's working great! I love the sweet lemongrass smell. Leaheyfoods.com- Leahey Foods had some great organic cheese that my daughters enjoyed, so I picked up a bag of their macaroni and cheese. 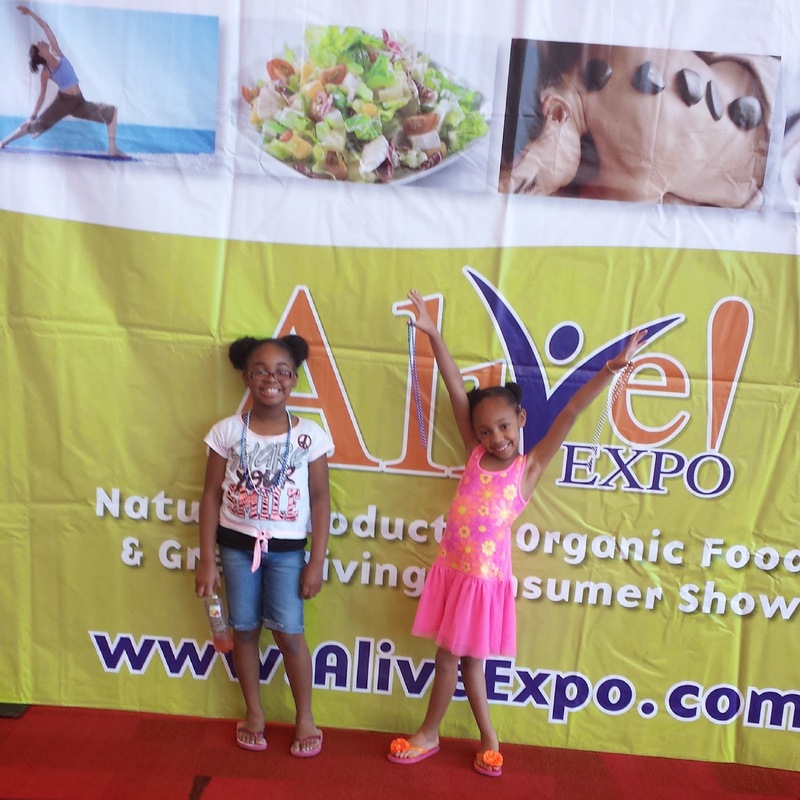 Have you ever gone to a Health and Wellness Expo before? This looks like it was fun!!! Glad y'all had a great weekend!!! What a great Expo! Looks like they had lots of activities to keep the kids entertained. That sounds like an awesome event and I love that there was stuff for the kids to do. You never know with things like that which are more geared towards adults. I know right! I'm glad my daughters were entertained or they would've drove me nuts saying they're bored! It's awesome that you're exposing them to this at an early age. I'm still learning how to take care of myself and learn about what NOT to eat LOL Great post! Yeah I have to learn to take care of myself better too. So true about organic foods... We just started a garden and kids do get excited esp once they start seeing food pop up out of the plant! Yeah Aimee, although we don't have a yard we'll get some pots and start planting different foods. Looks like y'all had fun, and you rock that turban well. This looks like ti was a fun event to attend. I will have to keep my eye out for this next year. Yeah you should come on down to Atlanta and attend Victoria! ping pong is hard. how did they do? Not too bad Melinda. Better than I expected. What a cool event! You and your kids looked like you enjoyed it. LOL you know what Courtney I seem to always get that a lot and my youngest daughter looks just like her father. Looks like a fun activity for the whole family! Your daughter is a cutie! Ok WOW is all I can say. It looks like a fun event and that you all had a fabulous day! You Go Girl! I am hearing more and more about these 'healthy' expos. I am finally convinced that I need to attend the next one in my area. I would like to plant a garden so that I know what I are really putting into my kids bodies. Thankfully, there is a farmer's market here in town. This looks like fun! I love health expos and need to find out when the ones in my area are. Your daughter are so adorable! Looks like so much fun! And I love a great swag bag! I wish I could have made it to this, but we had plans with Thomas the Tank Engine. I hope to go next year -- I haven't been to a health expo like this! 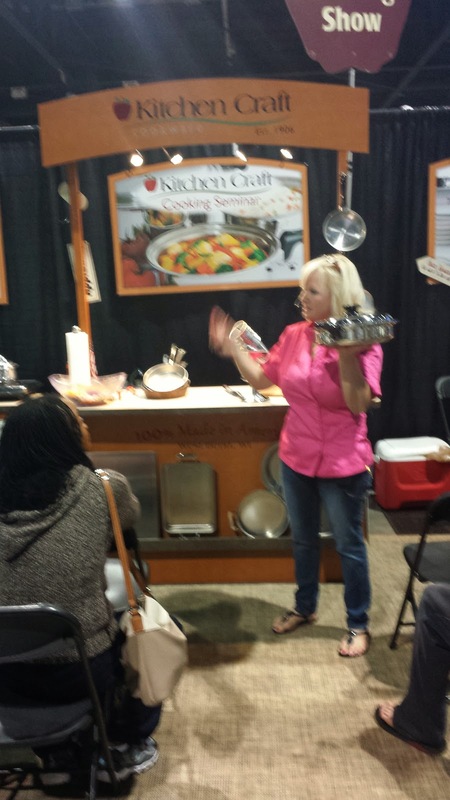 You missed out on a great expo Kecia! Make sure to attend next year. I haven't but after seeing this post I need to find a local one to attend. Looks like a great time + your girls are just adorable! Thanks Cookie! Yes girl you need to attend one, they're fun and you learn a lot. That looks like such a great exhibit. There are a few local farms by me that sell organic produce and I love it. My daughter loves these places too instead of the regular store. Aren't those Frannie's muffins the best? I wish I would have had more time to really hang out and do everything and see the demos. It was such a busy weekend! Yes those Frannie muffins were so good! 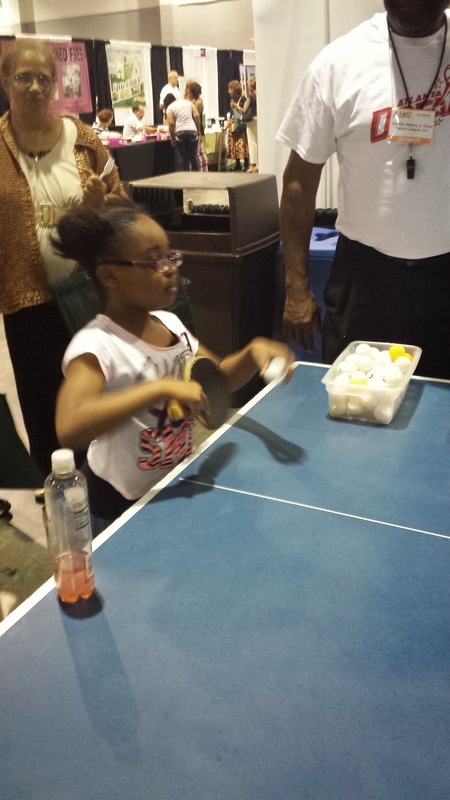 Looks like the girls had a lot of fun and learned ping pong! What a great event for the family to attend. What a fun event and I love the videos! Looks like you had a great time! How cool! This sounds like an incredible expo and loving the swag! I will have to check out these companies too! I definitely want to check out more farmer's markets this year too and eventually try to grow as much as I can too! 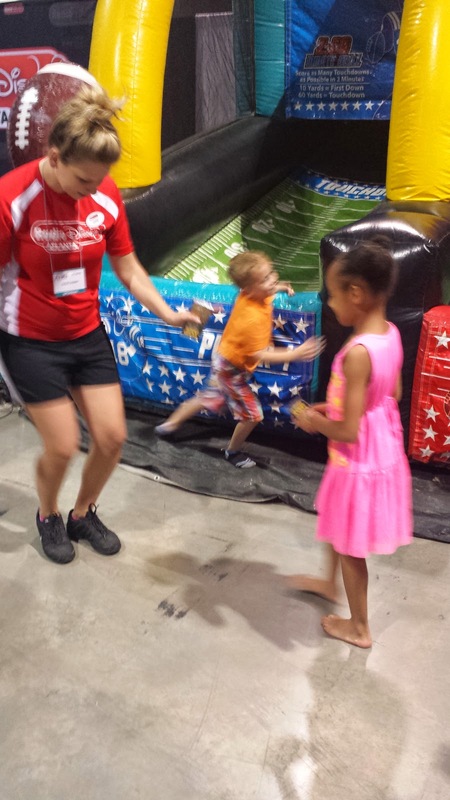 It looks like you and the kids had a great time... and really learned a lot, too! it looks like your girls had a blast. It is always great to have fun while you are learning! It looks like all of you, including the girls, had a fun time. Nice mother daughter time out learning good stuff! Looks like a great Expo for kids. I wouldn't mind taking my crew to something like this! This type of Expo looks right up my alley. I love learning about nutrition, health, and fitness. Looks like everyone had a great time! Looks like y'all had a great time. I need to see if any health expos come by us! What a fun time!! 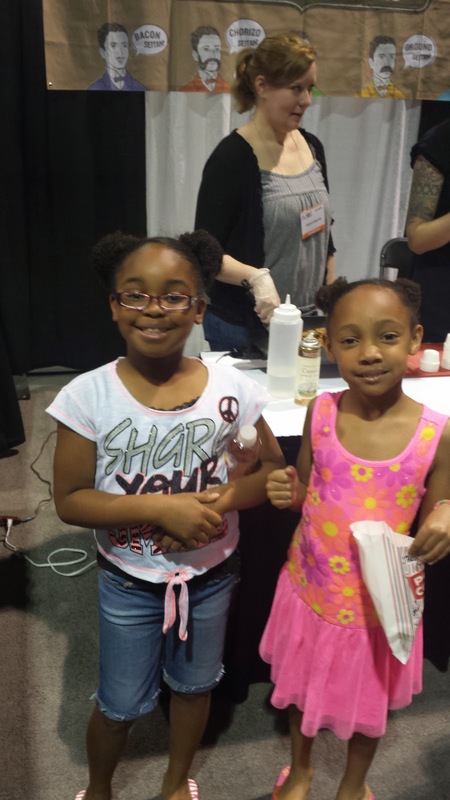 Health expos are a great way to expose kids to ideas. What a great time! 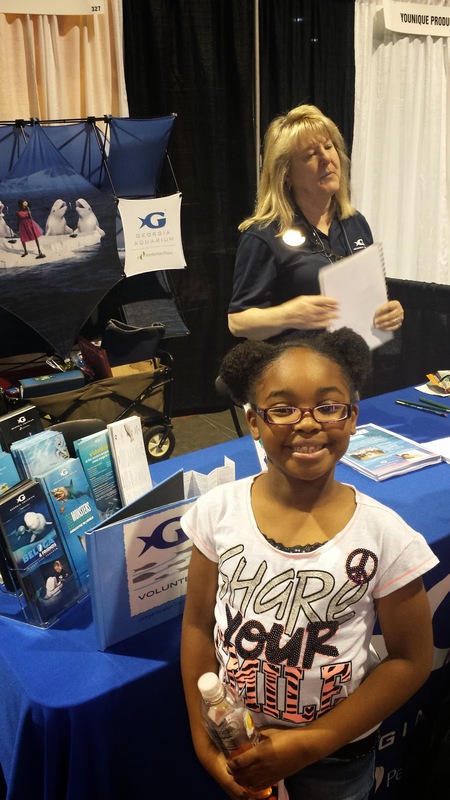 We went to a health expo this past weekend too up in Indy! I love that they were both so family friendly! looks like a cool event. especially since they made it so fun for kids-- kids need to be able to get excited about their health too! Wow! This looks awesome! I probably needed to be there too because I try to eat organic and natural foods but sometimes ease and convenience of fast food gets the best of me. Your girls are so cute! They look like they had fun! Convenience foods gets the best of me as well. 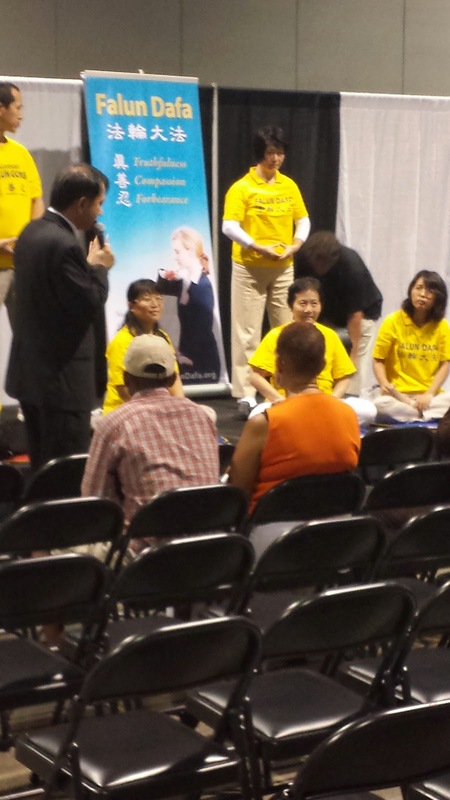 I';d love to take a yoga and pilates demo at an expo! What a great way to exercise and meet new people in the community. Looks like you had a realy great time. I love when expos come to town. Atlanta is the perfect spot for them. I would've like to have seen all the healthy options at this one. It sounds like they took great care to make sure it was a nice event. And from your post, they did a good job with it too. :) I'd like to sample some organic cheese. I've had a lot of organic foods, but I'm not sure ever for cheese. I wouldn't have thought there would be so much for the kids to do there. There sure was though. How fun! What a great learning experience for the kids - and fun too! I'll check her out on instagram. It looks like there was a lot of great info to learn about at the Expo. 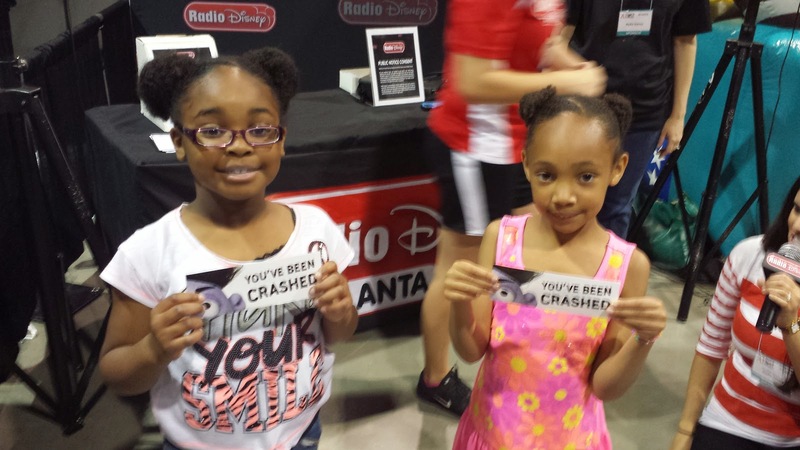 And how cool the kids got to rock out with Radio Disney! My daughter would have loved that! 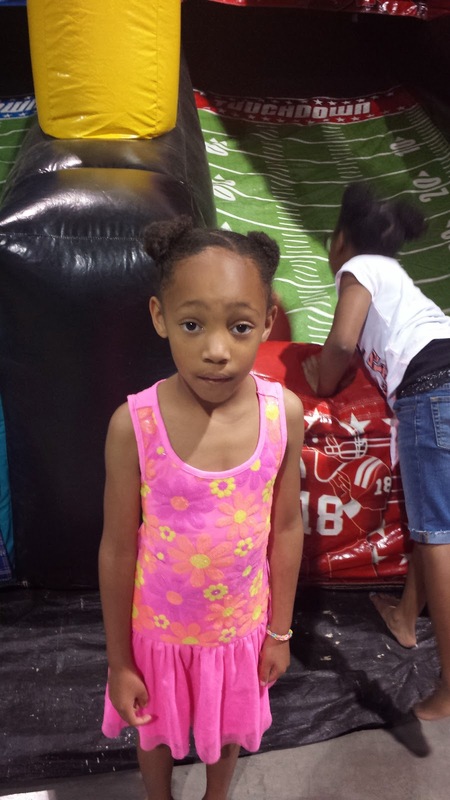 It looks like your kids had so much fun! I love events that they learn too. 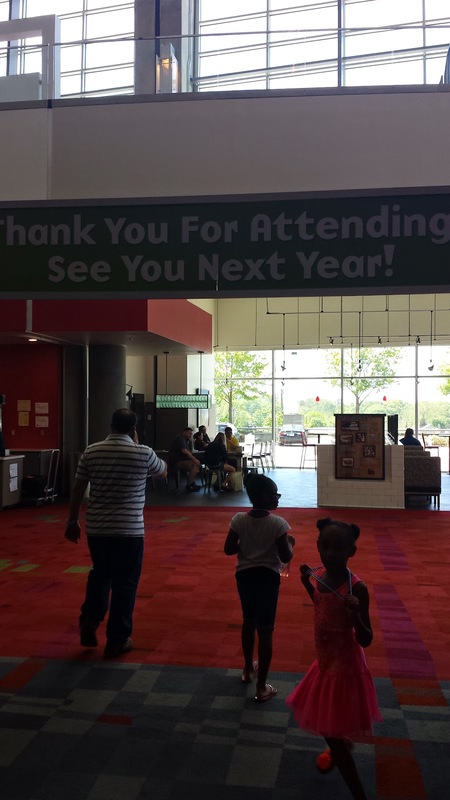 Looks like this was a great Expo and a wonderful time! There us so much hidden info out there about the foods we eat. What an awesome sounding conference! A friend of mine goes to one like this every year that's local here and they do free haircuts! Thanks for the shout out MeTime Lemonade believes in keeping customers happy with some fresh fruit lemonade!!!! You're welcome! It was a pleasure meeting you guys!